An amazing opportunity to own a piece of Florida paradise! Within a short distance to Treasure Island beaches, this ground floor 1 bedroom 1 bath fully furnished condo is ready for your personal touch and belongings. Condo has been updated and offers a designed for convenience kitchen with wood cabinets, granite counter tops, breakfast bar and stainless steel appliances, updated bathroom and tile flooring throughout. Bedroom has a walk in closet with built in shelving. 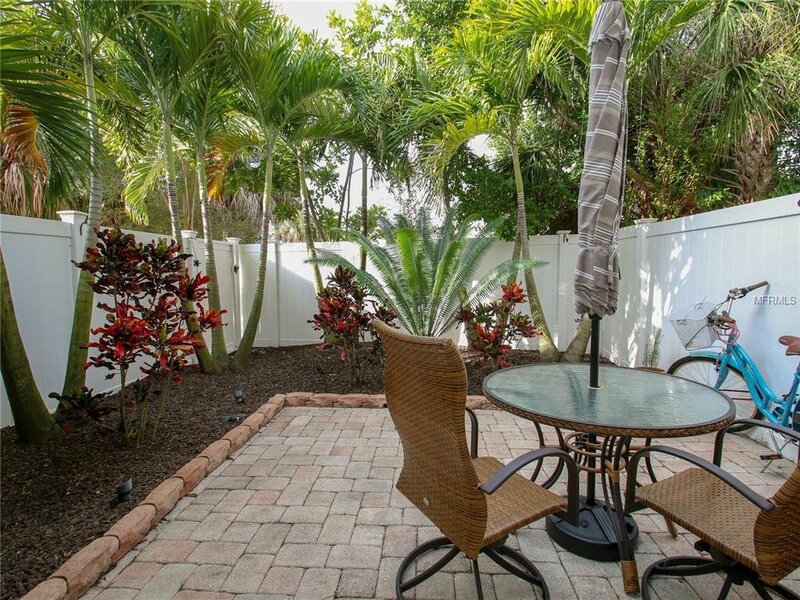 A private, fenced in patio is for your use only, where you can sit back relax and enjoy the Florida sunshine. Complex offers a heated pool. A local recreation park (with tennis courts, baseball fields, etc.) is just across the street. Listing courtesy of HOMEFRONT REALTY. Selling Office: COLDWELL BANKER RESIDENTIAL.